Canadian mathematician Robert Langlands has been named as the winner of the Abel Prize for 2018 "for his visionary programme connecting representation theory to number theory". 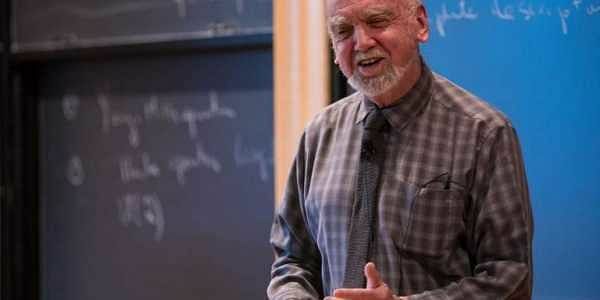 OSLO: Canadian mathematician Robert Langlands has been named as the winner of the Abel Prize for 2018 "for his visionary programme connecting representation theory to number theory," the Norwegian Academy of Sciences and Letters said on Tuesday. "Langlands' insights were so radical and so rich that the mechanisms he suggested to bridge these mathematical fields led to a project named the Langlands programme," Xinhua quoted the academy as saying. The 81-year-old mathematician would receive the financial award of six million Norwegian kroner ($776,000) from Norway's King Harald V at an award ceremony in Oslo on May 22. Langlands was born in New Westminster, British Columbia, Canada, in 1936. He graduated from the University of British Columbia with an undergraduate degree in 1957 and an MSc in 1958, and from Yale University of the US with a PhD in 1960. He has held faculty positions at Princeton University and Yale University and is currently a professor at the Institute for Advanced Study in Princeton, the US. The Abel prize has been awarded annually since 2003 to one or more outstanding mathematicians in memory of the Norwegian mathematics genius Niels Henrik Abel.